WASHINGTON — A quality control issue at Lockheed Martin stopped F-35 deliveries for a month, but even more time will be needed to roll out a fix to impacted jets across the fleet. When corrosion was found in several fastener holes under the fuselage panels of a F-35A undergoing maintenance at Hill Air Force Base, Utah, the F-35 joint program office suspended deliveries of the aircraft to give it and Lockheed time to analyze the issue, a Lockheed spokesman said in a statement. That interruption lasted from Sept. 21 to Oct. 20. 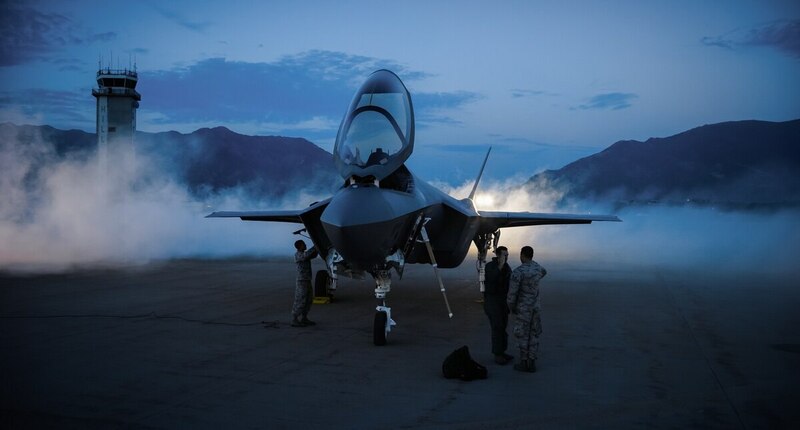 The investigation found that Lockheed had not been applying the required primer, which prevents corrosion, to the fastener holes on F-35 substructures during the production process. In terms the problems that have plagued the F-35 program, the lack of primer on fastener holes is minor when compared to past issues, which have included faulty insulation that disintegrated into the aircraft’s fuel tank or an engine rubbing problem that increased the danger of fires. “This is a production quality escape issue and, though it needs be corrected to prevent potential future corrosion, it does not pose a safety of flight risk to the F-35 fleet or affect current operations,” noted JPO spokesman Joe DellaVedova in a statement. However, depending on the extent of the problem, making repairs could be a lengthy process — and one that could potentially add even more cost to the program, if the Defense Department is forced to pay for the fix. Even with the temporary stoppage on deliveries, Lockheed claims it will be meet its goal of 66 F-35s delivered this year, with 54 accepted by the Defense Department so far. The company also has made changes to its production processes to ensure that workers are applying primer as required. “As part of our corrective action, we have reviewed and addressed work instructions, personnel training and processes to ensure all work is performed to the specifications,” a spokesman said. Once finished, the corrective action maintenance plan will lay out how the department will modify fielded aircraft, the timeline for making those repairs and which entities will bear the cost. Until then, repairs will be done on a piecemeal basis, as maintainers apply primer to fastener holes that are exposed during routine work on the jets, the JPO said.